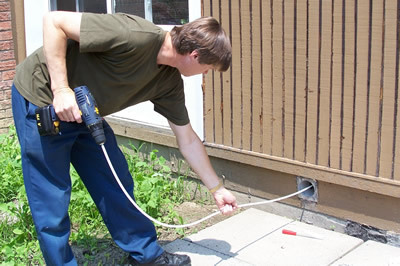 Performing routine maintenance around your home will save you money. Your furnace air filter is a prime example. If the air flow through the furnace is impeded by a dirty filter the heating and cooling efficiency decreases. In extreme cases, a plugged air filter can cause the air conditioning compressor to fail or the heat exchanger to crack. These failures are expensive to fix. The CMHC home maintenance list covers home maintenance season by season. If your bathroom fan is of the squirrel cage type, remove, clean squirrel cage, and replace (avoid getting the motor wet). If you own your hot water tank, have a plumber or heating contractor check the condition of the sacrificial anode (this should be done every two years if you are on a well and use a water softener; 4 years on municipal water in the city of Ottawa). The entire length of the dryer moisture exhaust duct should be cleaned of all lint deposits. In some cases of long ducts, dismantling the sections is the only way to properly clean. Lint accumulation is highly combustible. It only takes a small spark fueled by lots of air from the dryer blower fan to have a house fire. Note that dryer moisture exhaust ducting should not be screwed together. Use aluminum tape to secure sections together. If you have air conditioning, adjust forced air system dampers so that upper levels get more air flow than lower levels. At least 24 hours before air conditioning is needed, turn on the circuit breaker to the outside compressor unit. 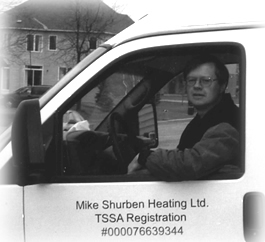 The heater in the compressor will drive off any liquid refrigerant that migrated out during the winter. If this 24 hour time period is ignored, the compressor could be damaged as it is designed to compress vapour not liquid. Adjust forced air system dampers so that lower levels get more air flow than upper levels. When air conditioning is no longer needed, turn off the circuit breaker to the outside compressor unit. The compressor contains a small heater to vapourize any liquid refrigerant. This heater not only burns up a small amount of electricity (~25Watts), it will provide your neighbor’s mice a warm place to nest for the winter. These mice like to shred the sound insulation within the compressor unit to use as nesting material.